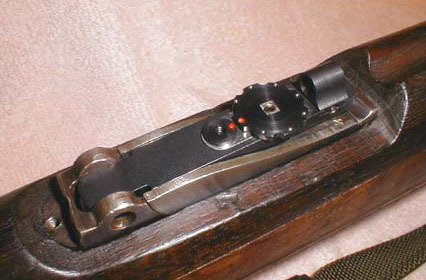 Mojo's new T38 MicroClick rear sight mounted on a Turk M38, its namesake. Here's where Mojo got its start. We cobbled together a rough prototype peep sight to fit a newly acquired Turk M38. Bouyed by an immediate improvement at the range, we figured there must be other shooters who would appreciate the same for their rifle. We were right. Now we offer our revolutionary MicroClick sight, designed for competitors. Or simply those that insist on hitting their target. We make two models for the M98 actioned rifles, the T38 and the G98. Please click here to be sure you get the right one.